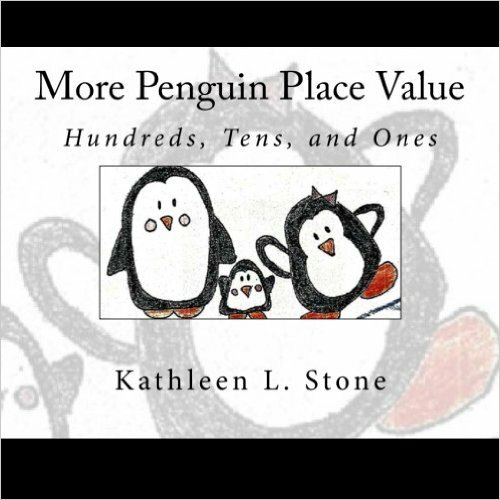 “More Penguin Place Value” is a sequel to the popular children’s book, “Penguin Place Value.” This delightful book provides opportunities for children to practice their place value skills with hundreds, tens, and ones. They will also be introduced to expanded notation form and number words. Children will enjoy reading the further adventures of this cute penguin family that they were introduced to in “Penguin Place Value.” The rhythmical text and charming illustrations, along with the interactive nature of the story, will keep young learners engaged. Suggested learning activities, included at the end of the book, provide further practice of this important skill.